I’m currently sat in my hotel room for the last time as we leave for the airport in a few hours. 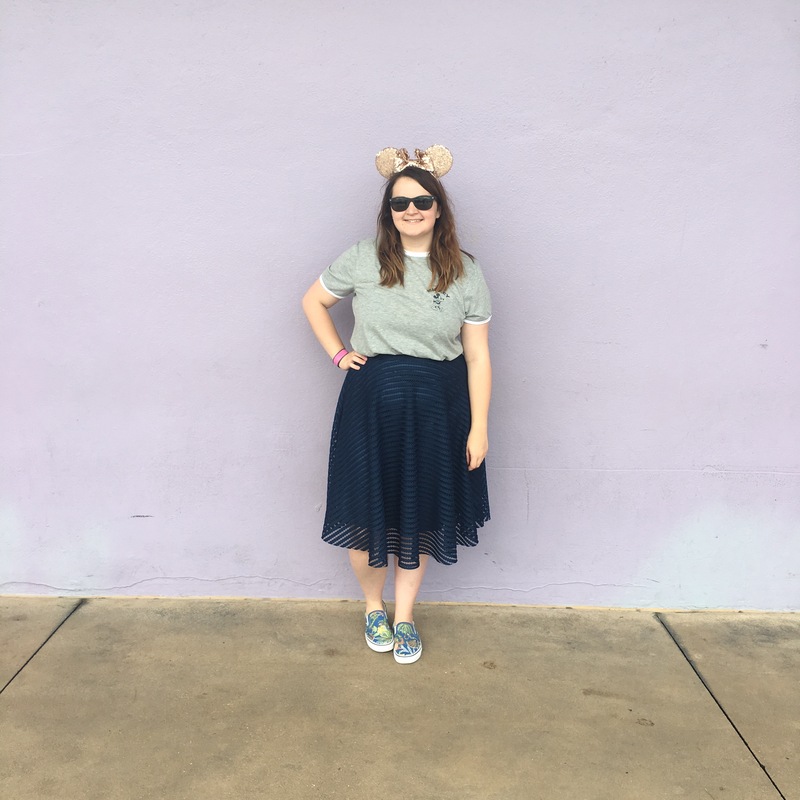 I’ve had the best trip to Disney World and have one last outfit to share. 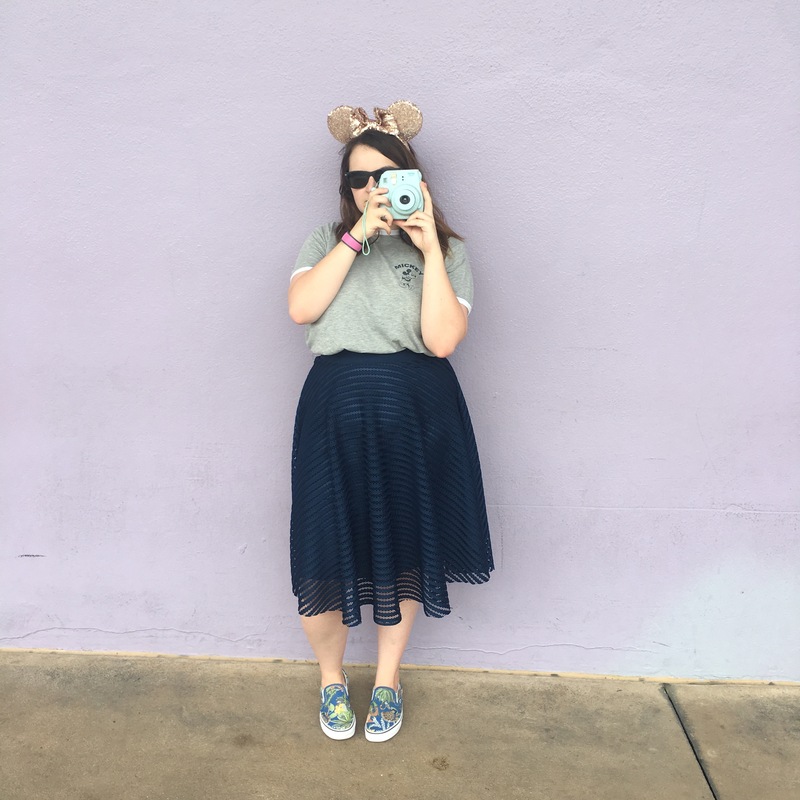 Anyone who is a Disney World fan or has done any research for their own trip will have probably heard of the purple wall. When I was planning my trip I came across an Instagram account dedicated solely to this purple wall. All I knew is that it was in Tomorrowland in Magic Kingdom and on my last day there yesterday, I forced my boyfriend to snap away whilst I stood there. I bought this skirt from New Look for an evening blogging event I was going to in London and I fell in love with the shape of it. My only issue was that whilst I knew how to dress it up, I didn’t know how to dress it down. I threw it in my case on a whim as I thought it was very Disney and decided I’d try and rock it on my last time at Magic Kingdom. After all, it’s kinda princess like? I paired it with this Mickey top which I bought from ASOS just before my trip. It’s quite subtle with a small Mickey on the front, but it actually has a huge one on the back (which I love). As these shoes have been glued to my feet for the whole holiday, I thought it was only right I continued the trend. Plus, I’ve had about 500 blisters throughout this trip and these were comfy! For anyone interested in my Minnie ears, they are from Ears Ever After and I can’t fault them. I’ve worn them most days and they are so comfy! I also had loads of compliments on them and even a few little girls ask me where they were from – cute! Yes. I am a child. Love that skirt and I will definitely have to check out those mickey ears! !